I have the medium size white swan which has the number 2147 but no Crown Lynn stamp. My question is, did they produce medium size swans imprinted with the number 2147 only. Hi Maureen, as long as it has the 2147 number it should be Crown Lynn. 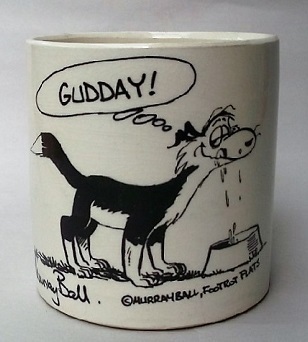 They only made these for a few years from around 1981 at the Titian Potteries factory when it was owned by Crown Lynn. I don't remember any of them with a Crown Lynn stamp, but I will stand to be corrected.